There have been a few posts on the blog about QR codes, but so far we haven’t looked at how to change them visually to fit into branding guidelines. Jacqui Lockwood from University of Warwick worked on a project to do just that for their library, and this post shares her experiences and provides you with tips for doing the same. Jacqui Lockwood is the Learning Grid Officer at the University of Warwick Library. Her role mainly involves working alongside the Learning Grid Coordinators, assisting in the smooth running of the four Grid sites and developing the service to ensure it is at the forefront of innovative teaching and learning within the university. She also is involved in marketing, disability awareness, and QR code working groups as well as several other projects. Before this post she worked as a Library Adviser in the Enquiry Support Team and was involved in the development and marketing of the recent Just ASK campaign. So, let’s face it, QR Codes look rubbish. They’re boring, monotone, blocky, and ugly. Despite this, they do provide a quick and easy route for customers to reach web based information and resources. The question is how can we use QR Codes without ruining the aesthetics of the overall product? For those who don’t know, a QR Code is 2-D barcode developed by Denso Wave (QR Code is a registered trademark of Denso Wave) with the aim of being easily read by a scanner and the potential to hold a great deal of information. On release in 1994, it was originally picked up by automotive companies to help keep track of manufacturing processes. However, thanks to Denso Waves decision not to exercise their patent rights and the emergence of barcode scanning software available on smartphones, advertising moguls saw an opportunity. It wasn’t long before these little black and white boxes started appearing everywhere, from posters to trucks, drinks cans to coins. The trouble was that people were starting to get a little bored. So, what was next? One by one, companies and ad agencies started to play around with a rather useful feature of QR Codes – the ability to have an error correction capability of up to 30%. Although this was originally created to assist with the restoration of data, even if the symbol is partially dirty or damaged, it can be exploited to include branding as part of the image. 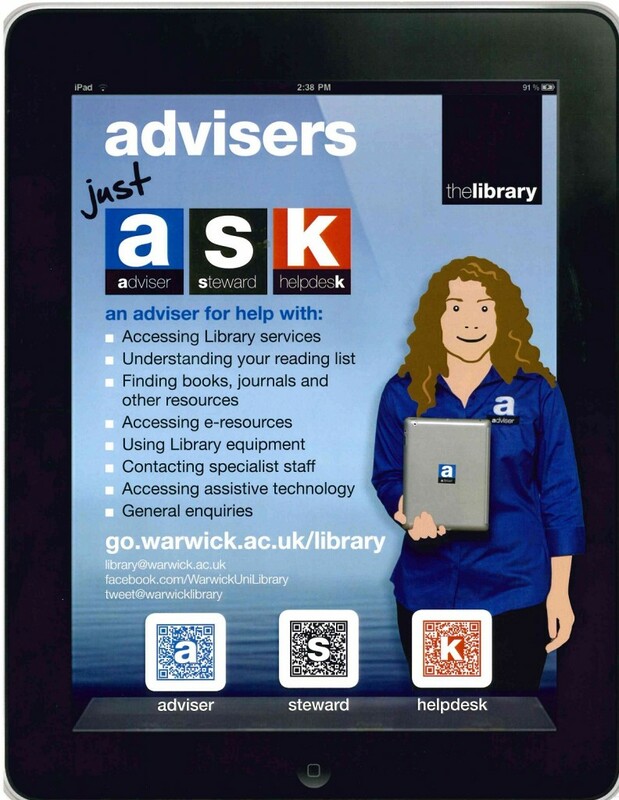 With such a strong brand identity in place in the University of Warwick Library, it seemed possible to incorporate this into QR Codes to make them part of our designs rather than a scar on them. In May 2012, with the development of the Just ASK campaign building pace, there was an opportunity for me to give this a go. Warwick Print and the Just ASK marketing team had finalised the branding for the campaign…. Starting out with the full word in the middle of the code, although it works and looks quite nice, it didn’t quite keep in with the branding as much as we’d like, so it was back to the drawing board. Taking the original image from the branding and popping a black QR code over the top worked in matching the branding but the results when trying to scan the code with such a dark background weren’t ideal. People aren’t likely to spend ages trying to get a code to scan, it needed to work first time. As incorporating the codes into the advertising went on, the text at the bottom was abandoned and we were left with three clean, crisp, and far less boring QR Codes ready to stick wherever was relevant. All three scan quickly, even when reduced down and printed to sizes below 1.5cm square. When first playing about to get an idea of how much you can utilise the error correction capabilities, we started off using Gimp (mainly because it was the only image editing software, besides paint, that I had on my computer!) This was, at times, a little fiddly and it proved easier when playing around, to import the different sections as layers and move them about in Microsoft Publisher. Once I’d realised the sorts of sizes you can get away with, the colours that work and don’t work, and the key locations that need to be kept free of any branding, it was back to proper image editing software to get them just right. With the help of our in house IT team, the final QR Codes were created in Adobe Illustrator as vector files. This meant we could change them to any desired size without losing resolution and convert them in to JPEGs when required. The main reason we did this was to ensure that, no matter where we send to image to for printing, it should always arrive as a sharp image. Initial JPEG files sent to the printers came back blurry when incorporated on to leaflet designs. Since working on this project, a number of sources have appeared that can help people created braded QR codes without the need for fiddly work in image editing software. First off is Denso Wave’s own service, LogoQ, the only issue here being that it isn’t a free service. If you’re after a free tool, Unitag helps you customise a branded code to high extent via their free service with the option to pay for more customised work. Of course, nothing works better than doing it yourself. Any free tool will have limitations on how close you can get it to your branding style. There have been a few other experiments with branded codes at the University of Warwick Library since this project, but the use of all QR Codes, branded or not, is still quite low. What we learned from this is that, for short campaigns and adverts, branded codes give us a great way of connecting our customers to webpage they may otherwise overlook without compromising our strong marketing style. There is also only a place for these little codes if there is a requirement for the customer to access online material, a pointless link to a redundant website would be a waste of time for both the creator and the scanner. Don’t think that because it worked when the added features were a millimetre one way that it will work when you move it. Every time you make an alteration scan that code! Try printing out lots of size variations of your created code and check they all scan. If the QR Code has a lot of data in it, reducing the size can make the individual components hard to pick up by your scanner. Don’t just rely on your smartphone. Get an iPad out, or borrow someone else’s smartphone (preferably a different make or model!). You need to make sure that anyone who comes to scan your code should be able to. Don’t make one just for the sake of it. QR Codes can be irritating if they don’t serve a purpose. A recent trip to a nearby library presented me with a QR code on a plasma screen that informed me that the corridor below it led to the toilets. Is that really necessary? Codes that don’t provide the customer with something they might actually be interested in can make them reluctant to bother scanning any of the others you put in place. 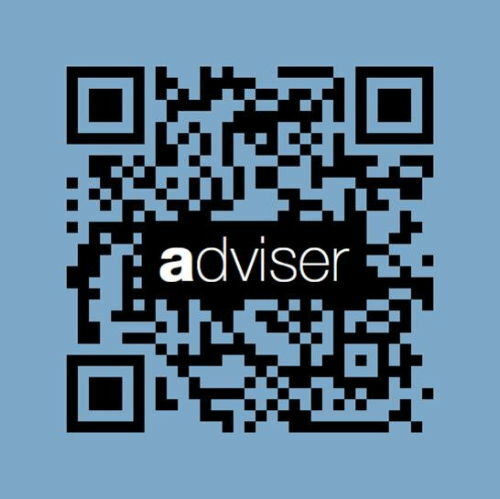 This entry was posted in Guest blog posts, Tips and Tricks and tagged branding, qr codes, university of warwick on June 26, 2013 by Jo Alcock. We’ve previously shared some tips and advice about how to use QR codes, but today we’re looking a slightly different angle – how do you decide which tool to use? To cover this topic we have a guest blog post from Neil Ford, Academic Liaison Development Manager for Library and Learning Support at Bournemouth University. Neil has previous experience in health, public, commercial and academic libraries, current interests include: digital literacy and academic skills support, QR codes, collection development, co-creation of reading lists in academic liaison. There are now a wealth of free QR code generators on the web. Google, Bit.ly, Delivr etc. Recently colleagues and students who want to use QR codes in their work have been asking “which tool should I use”? With so much choice it can be a difficult question, and one that depends partly on what you want to achieve with your QR campaign. In this post, I’m going to discuss some criteria that can be used to evaluate URL shortening and QR code generating tools. I’ll be drawing on experience using these tools on a recent project at Bournemouth University that introduced QR codes to our book shelves to guide students to relevant ebooks. Many online tools now enable you to create shortened URLs and QR codes. This dual functionality makes a lot of sense as the shorter the URL, the easier the QR code is going to be to scan. Are all URL shorteners equal? Well no! In terms of technical performance there is quite a difference between different providers. Another point to consider is whether the tool been designed as a URL shortener or as a QR code generator or both? This might seem like a silly question but, how the tools developers see the product, could have a profound effect on its usability for your purpose (see the section on user interface below). The size and quality of a QR code can have a significant effect on how easy it is for devices to scan. It’s worth comparing the images that different tools produce to see how well the image meets your needs. How big is the QR code that is produced? Will it meet your needs or will you need to edit it using an image editor? Again this may not matter too much if you are only producing a couple of codes. If you’re working with large numbers of codes you will want to avoid too much work manipulating images. In general: the larger the image, the better! It’s much easier to shrink an image and maintain quality than vice-versa. The media that you use to deliver your QR codes will affect how important this criteria is to you. If you are producing codes for a small handout or business card then image size may not matter (as users can get right up close to scan the code). If you’re using codes on posters, signage or lecture slides it may be more of an issue. Creating and testing a prototype using a variety of tools will help you to find out which tools meet your needs. How easy is it to shorten the URL and get a QR code out of the interface? If you are just producing a few codes for posters then this may not be such a concern for you. If however you are producing hundreds or even thousands of codes then ease of use is going to matter! Even a couple of extra clicks could make a great difference. Half way through our QR code project at BU, Bit.ly’s user interface was “enhanced”, which added extra steps to the process of getting to a QR code. Whilst you can’t control how web tools develop their interfaces, you can select a tool that demonstrates concern for their user community when implementing change. 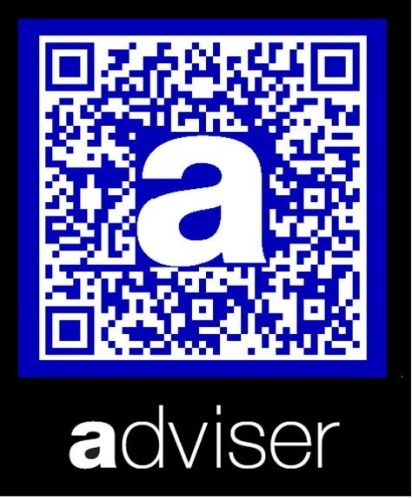 Seeing the number of hits on your QR code should be a key part of your ongoing evaluation of your QR campaign. Does the service you’re using to create your shortened URLs and QR codes enable you to see the usage? Statistics about how and when your users access library resources can be part of the added value that you can get from a QR campaign. As well as promoting resources, usage statistics can tell you about how and when your users want to access library resources. You may need to dust off your crystal ball for this one. Free, web-based tools offer us great opportunities but it’s important to remember that, even though the tool may be “free” you are investing your time and work in using it. There is always a risk that the tools will change, move, or even disappear… (did anyone else feel slightly nervous when that whole Delicious thing was going on?). While there are no guarantees, if reliability is important to you then it may be worth going with a well-established tool like Google, even if you prefer a different user interface or URL shortener. If the worst happened and the tool that you’ve used for your url shortening were to disappear, how easy would it be to move your shortened urls and QR codes to another platform? Keeping a record of the targets that your QR codes point to is one way to recover from such a disaster with minimum fuss! Similar to the last point, you may want to consider the life cycle of your shortened URL/ QR code. One of the main reasons that we chose to use Bit.ly for our QR code shortener was that it guaranteed that the shortened URL was persistent and would not expire. At the time this seemed like a benefit. Reflecting back though, being able to change the target of our QR codes would have been a better attribute. Shortly after our QR codes were added to the shelves, we learnt that our library catalogue (our QR codes point to catalogue searches for ebooks) had changed ownership and as a result would be changing their URL! This means that we will need to create new shortened URLs and QR code labels for about 1,000 catalogue searches! Fortunately, we have recorded our searches and will be able to complete the work efficiently. Looking on the bright side, this gives us an opportunity to re-evaluate the tools we’ve been using and move to one that better meets our needs in terms of usability, metrics and flexibility. I hope this has been a useful reflection. I’d love to hear about your experiences creating QR codes. Which of the criteria above are important to you? Do you have any other considerations when choosing this sort of tool? This entry was posted in Guest blog posts, Tips and Tricks and tagged analytics, bournemouth university, metrics, qr codes, url shorteners on April 16, 2013 by Jo Alcock. 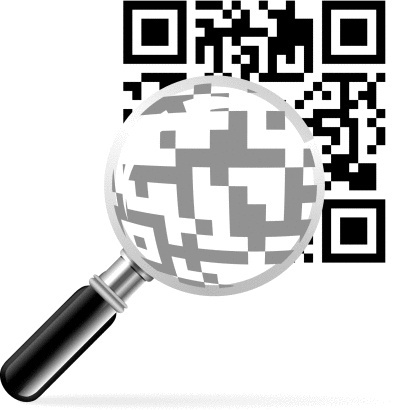 This is the fourth post in a tips and tricks series about QR codes. The full series includes an introduction to QR codes, tracking QR codes, examples of how they are being used in libraries, and best practice tips. Don’t use QR codes just because you think they’re cool. Is there a purpose for them? 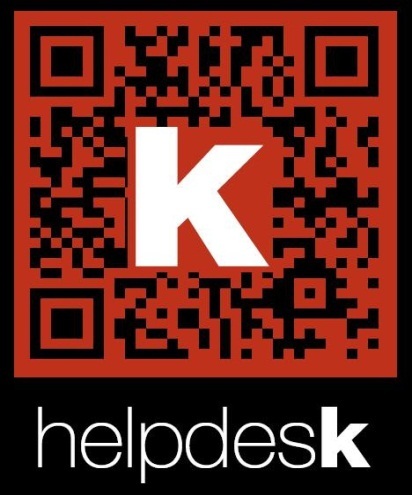 Something your library would like to do that QR codes can help with? They’re more likely to be useful if they have a defined purpose. As with any new technologies, staff will need to be familiar with QR codes and understand their use. Before using QR codes in the library, ensure staff know what they are going to be used for and how to help users if they are unsure. Some users may be tech-savvy but QR codes are still only used by a small section of the population so they may well be unfamiliar with QR codes. It might be worth doing some research beforehand to see if they currently use QR codes or would be interested in doing so. Help and guidance should also be offered (through staff training, FAQs etc.). This is a really important point. If you’re going to use QR codes you need to make sure the destination will work on a mobile device. It’s no good adding a QR code to an e-book if it will only work on a desktop computer, or linking to a webpage full of text and images that won’t display correctly on a mobile phone. Ideally, you’ll want to link to mobile optimised websites. YouTube videos can be made mobile-friendly so this is a good way of creating mobile-friendly videos. If you’re going to use QR codes you need them to be easy to read. Simpler codes are better (hence shortening URLs before creating the code so they’re not so complex), but you will also want to make sure the size of the QR code is appropriate. This will depend on the context – will people be scanning from right next to it (e.g. on bookshelf) or from far away (e.g. on billboard)? You might need to test it out before printing a final version. If you want something a bit different and are feeling adventurous you could try adapting the design of the QR code (more examples here). Remember to have everything in place to evaluate the QR codes. The earlier post in the series on tracking QR code usage offers three different options to achieve this. Keep an eye on the statistics, and consider the reasons for low or high usage. Do they perform better in a particular place in the library? Use this information, along with user feedback to shape future developments (and don’t be afraid to scrap them if they’re not working). Please feel free to add any extra tips or advice in the comment section if you have been using QR codes and have anything to share. 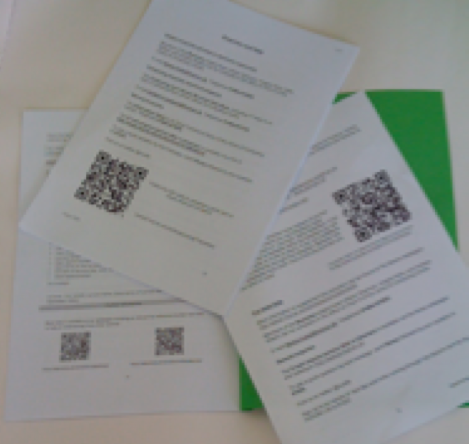 This entry was posted in Tips and Tricks and tagged best practice, qr codes, qrcodetips on August 30, 2012 by Jo Alcock. How are libraries using QR codes? This is the third post in a tips and tricks series about QR codes. The full series includes an introduction to QR codes, tracking QR codes, examples of how they are being used in libraries, and best practice tips. So how are libraries using QR codes? Some of the more popular uses are listed in this post with links to examples. You may have some ideas of your own already, so please don’t be restricted to the ideas in this post. Senate House Library also has QR codes in their catalogue and you can read a full case study of QR codes at Senate House Library including what led them to implement it, how they did it, how it has been received, and future developments. You could also use QR codes to link to relevant web resources for particular areas within the library, for example linking to subject guides, relevant websites or online reports near the books for that topic. There’s a whole host of equipment to use in a library, much of which might need some explaining – particularly printers, copiers, laminators and binding machines. Of course signage can help, but a QR code can be used to link to a step-by-step guide online, or a video of the equipment being used. They can also be used to direct people to get help – either by providing them with help contacts, opening an SMS message to the library contact number, or a webpage with facility to ask for help (i.e. virtual reference). We all know libraries love our posters, but sometimes they can get a little text heavy. A QR code could be used to link to additional information leaving the poster free for just the essential information. 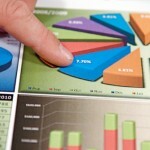 They can also be used to direct people to a certain website, often used for survey or to gather feedback. They can be used in the same way on handouts, linking either to an online version of the guide (so that this can be bookmarked for future reference), additional information, or contact details of staff members. Some libraries are using also QR codes on the signs on study rooms to enable people to book them directly from their mobile devices. 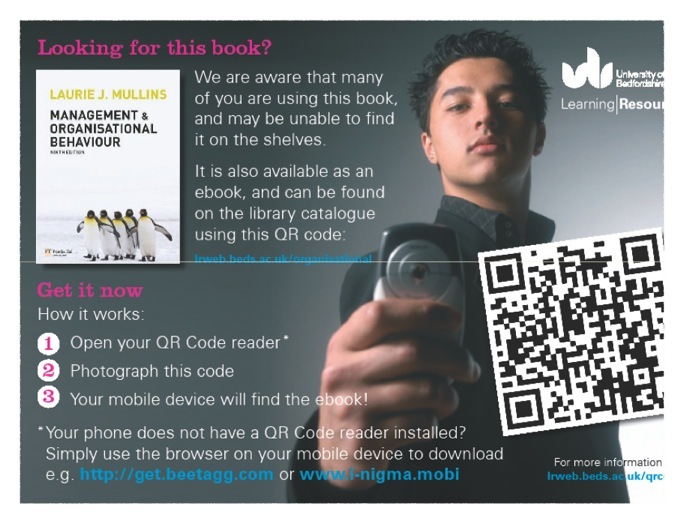 QR codes can be used to great effect to introduce users to the library by setting up treasure/scavenger hunts (for more information on this see our pathway to best practice guide 1). 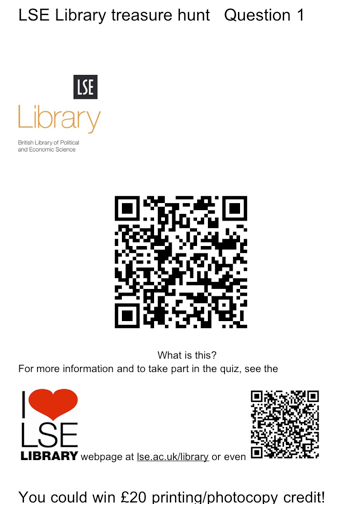 LSE Library have used these during induction period for new students. Raring to go? You might want to hold fire for a moment, as there are some further considerations for using QR codes. The next post in the series tackles these and recommends best practice for implementing QR codes. This entry was posted in Evidence gathering, Tips and Tricks and tagged qr codes, qrcodetips on August 29, 2012 by Jo Alcock. This is the second post in a tips and tricks series about QR codes. The full series includes an introduction to QR codes, tracking QR codes, examples of how they are being used in libraries, and best practice tips. 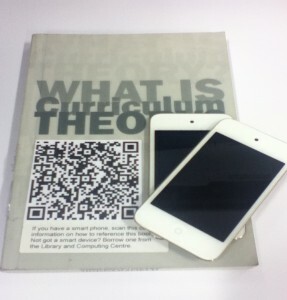 A number of libraries have started using QR codes around their library as a trial to see if they are useful. Anecdotal evidence may help evaluate these, but one method of evaluating how often they have been used is to ensure you use a QR code with trackable statistics. How can I create a QR code with these statistics? There are a number of different methods for creating QR codes with trackable statistics, and your choice will be dictated by a number of different factors such as existing systems, administrator access, and convenience. You may well already use Google Analytics to track statistics of visitors to websites or the success of campaigns, in which case it makes sense to use Google Analytics to track QR code statistics. You can create a custom campaign URL (see custom campaign guide) so that you know people have used the QR code. This can be particularly useful if creating a campaign that you are promoting in a number of different ways – by using different custom URLs you can track how people are accessing the information and measure the success of different techniques. Once you have created your custom URL it’s a good idea to shorten it (using any URL shortening service such as bit.ly or goo.gl) before creating the QR code – this will make the QR code much simpler and therefore easier to scan. Then you can use any QR code creator to get your QR code. For more information on this, check out this guide from Andrew Preater at Senate House Libraries (which also explains how to add QR codes with trackable statistics to an OPAC). Many URL shortening services provide tracking information so you know who has used the shortened URL, when, and where from. If you don’t have Google Analytics you might want to use these to create a trackable URL before creating your QR code. This has the additional bonus as discussed earlier that the resulting QR code won’t be as complex as it is a shorter text string. It’s even easier with bit.ly which actually has a QR code automatically created for each shortened URL as standard. To find your QR code just go to the tracking page (through your account page or by adding a + to the end of the bit.ly URL), and you’ll find a small QR code icon (see image below). Clicking on the icon opens up a larger QR code in a new page that you can then download and use as you wish. If you’re using the bit.ly URL in different places (i.e. online as well as QR code), you’ll be able to see from the statistics page in the referrer section how many have accessed the link via the QR code compared to other sources. 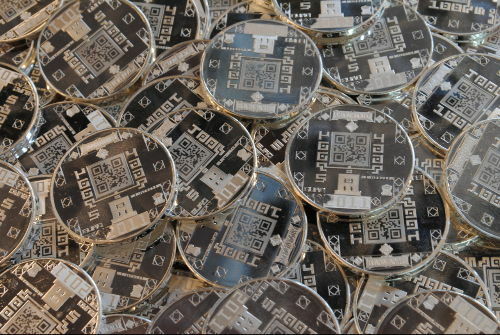 There’s a little more detail in this How To Create a QR Code and Track with Bit.ly blog post. Something to bear in mind with this option is that you might want to consider customising your link so that it’s something meaningful – having the text libraryfaq in the URL is much better than a random string of text and numbers, especially when users will have to consider whether they actually want to open the URL. In bit.ly you do this by clicking on the pencil icon to edit the URL and then typing custom text and saving (see image below). 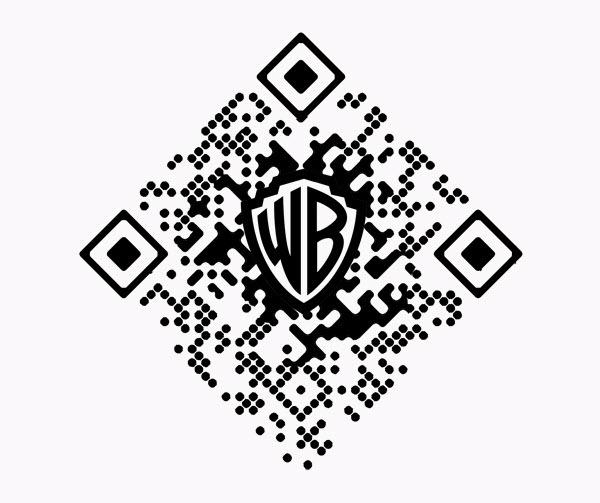 So now we know what QR codes are and how to create ones with tracking capabilities, but so what? What can we use these for in the library? 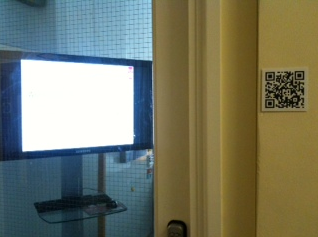 The next post in the series will demonstrate some of the uses for QR codes in libraries. This entry was posted in Tips and Tricks and tagged how to guide, qr codes, qrcodetips on August 28, 2012 by Jo Alcock. 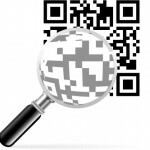 This is the first post in a tips and tricks series about QR codes. The full series includes an introduction to QR codes, tracking QR codes, examples of how they are being used in libraries, and best practice tips. You’ve probably started seeing these strange black and white pixelated boxes appear all over the place – and if you haven’t yet you’ll probably start noticing them soon! I’ve seen them on building sites, museums and galleries, on promotional stands, on products, on leaflets and guides, on TV adverts… everywhere! Often before scanning a QR code you may not know what it is going to do, so most QR code scanners will let you know and ask if you want to. So for example, if you scan a QR code and it’s going to take you to a web page, it will popup with a message letting you know what the code wants to do and asking if you want to continue. I have a camera phone, how can I scan QR codes? You’ll need to download a QR code reader application. Some examples for smartphones include RedLaser (iPhone), ZBar (iPhone), QR Reader (iPhone), i-nigma (iPhone), QRky (Android), QR Droid (Android) and Barcode Scanner (Android), QRafter (iPad), and Norton Snap (iOS or Android). This list is by no means exhaustive – try searching your app store for QR code to look at the different options (some free, some paid). If you have a regular camera phone rather than a smartphone you can often still get a QR code reader; try searching Google for your phone model number and the term QR code reader. Once you have the reader installed, just look out for QR codes (check out posters and billboards as well as magazine and newspaper advertisements) then launch your reader application and hold your camera up to the QR code. Try this one as a test if you like (it should display text). I have a cool idea for a QR code, how do I create one myself? There are lots of QR code creators online, and we’ll explore some of the options in more depth in our upcoming blog post on tracking QR codes (if you’re planning to use them in your library, you will probably find it useful to be able to track usage to measure its success). If you just want to have a quick go now, Kaywa is a really simple creator which allows you to have a go at creating your own for lots of different purposes. That’s about it in terms of the basics, but we’ll be posting more on this topic including a post on how to create QR codes with tracking capabilities, a post on how QR codes are currently being used in libraries, and a list of considerations for best practice. This entry was posted in Tips and Tricks and tagged how to guide, introduction, qr codes, qrcodetips on August 28, 2012 by Jo Alcock. This is part of a series of blog posts based on the sessions held at the Mobile technologies in libraries: information sharing event. More resources from the day are available at the event Lanyrd page. Jason Curtis (Shrewsbury & Telford Hospitals NHS Trust), Gary Green (Surrey County Council), and Peter Kargbo (Manchester Metropolitan University) facilitated a group discussion during the morning breakout sessions on using mobile devices to link the physical to the virtual. 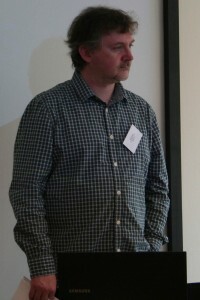 Gary had prepared a collection of links on Delicious to help shape the discussion, and ideas were shared by those attending the session too. How do users know about AR? Lack of awareness of technologies from users – will they need to be trained? What skills are needed to implement these technologies? What have other people done? How can we learn from that? What resource is needed to implement? What benefits will we gain? This entry was posted in Events, Project news and tagged augmented reality, mlibs event, qr codes, visual search on June 1, 2012 by Jo Alcock. As the m-library support project is JISC-funded, our primary focus is academic libraries in UK, though we are also interested in innovative projects further afield which we could learn from (e.g. in different types of libraries or in academic libraries outside the UK). We’ll be sharing relevant information and links we find on the blog as well as gathering case studies to develop a web presence to share these examples. If you have any examples you think might be relevant for us to examine as part of the project, please submit an example via our form. 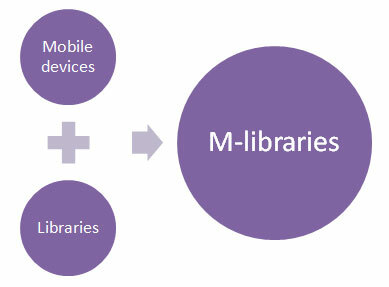 *The project’s official title is the mobile library support project but owing to the existing mobile library concept (i.e. library on wheels!) we chose to adopt the m-library name. This entry was posted in Project news and tagged apps, augmented reality, mlibs, qr codes, sms on November 15, 2011 by Jo Alcock.